American Public Television is proud to make this WQED documentary available to public television stations nationwide. 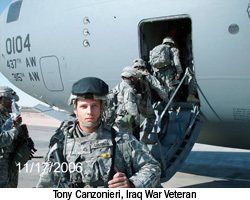 When Tony Canzonieri returned from his tour of duty in Iraq, he struggled with nightmares, flashbacks and alcohol. His marriage fell apart. He lost his job. But once Tony acknowledged the symptoms and was treated for Post Traumatic Stress Disorder (PTSD), his healing began and his life changed. 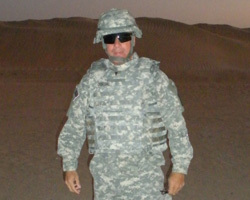 Now in his role as director of Vets4Vets in Western Pennsylvania, Tony is helping other veterans who are now dealing with the problems he once faced. A 2008 RAND Corp. study estimates that nearly 20 percent of all military members who returned from Iraq and Afghanistan reported symptoms of PTSD or major depression, yet only about half went for treatment. 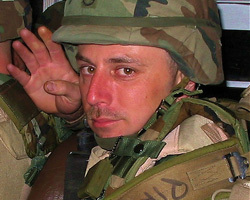 As Tony and other Iraq War veterans are finding out, many others have gone before them. The documentary also includes the compelling stories of veterans who served in Vietnam, Korea and World War II - yet still feel the emotional wounds of war. As America addresses the PTSD issue, there are successful therapies now, and promising research into future treatment - as viewers will see in a segment that focuses on a unique study at the University of Pittsburgh Medical Center where doctors are exploring the sleep and brain patterns of veterans who are coping with PTSD. Long Road home is brought to you by WQED's Emmy Award winning team of writer/producer David Solomon and photographer/editor Paul Ruggieri, narration by Michael Bartley, with funding from The Staunton Farm Foundation. 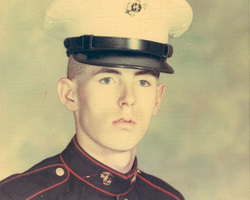 Left: Vietnam veteran Dan O'Grady of Sheraden, Pennsylvania battled with flashbacks and addiction, but found support at the Vet Center. 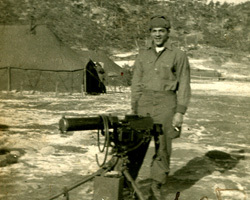 Right: Korean War veteran Fred McGee of Smithfield, Ohio had nightmares about the war. He attends group therapy sessions at the VA.
PBS NEWSHOUR report "A Young Veteran and His Dog"
Sesame Street's "Military Families Cope with Change"
Left: Iraq War veteran Shawn Pirl of Ruffsdale, Pennsylvania suffered with extreme PTSD symptoms. He attended his first Vets4Vets Retreat in March 2010. Right: Army Chaplain Paul Dordal of Penn Hills, Pennsylvania is taking part in a unique study at the University of Pittsburgh Medical Center for veterans with sleep problems. 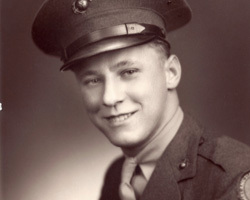 Left: World War II veteran Walter Popatak of Baldwin, Pennsylvania waited 50 years to begin PTSD treatment at the VA. 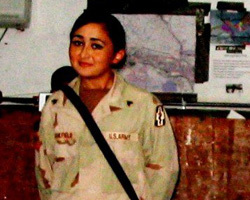 Right: Michelle Wilmot's experience while serving in Iraq led to anger issues. She's now a veterans advocate in Tuscon, Arizona. 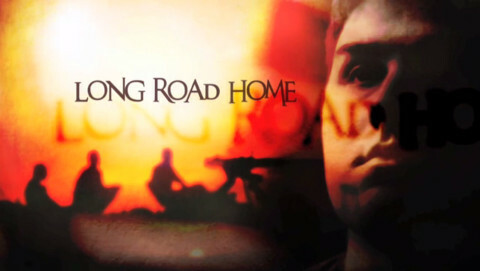 Long Road Home aired on May 26, 2011.